AMCO Enclosures’ Configurator tool for data and server racks provides you with maximum results in a minimal amount of time. 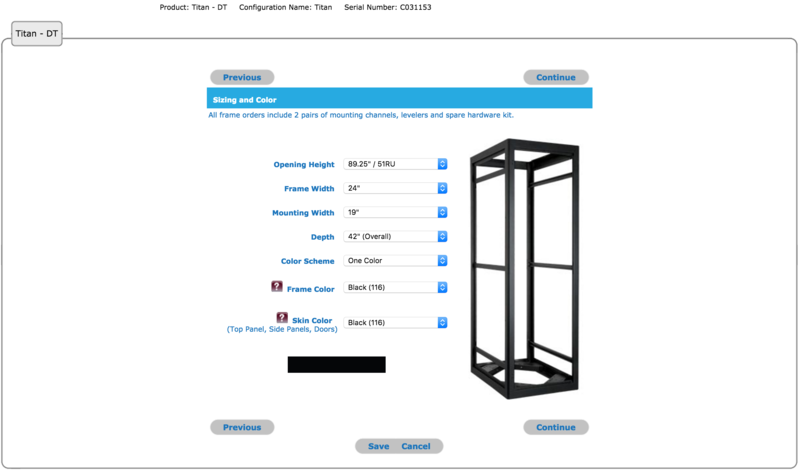 Our web based product configurator is simple, fast and accurate with no cost, nothing to learn and no software to run. Design your racking system in a few quick and easy steps. Choose a cabinet size (H x W x D), and the image adjusts to your specifications. Continue by adding available accessories. Specify exact RU locations for your rack accessories for maximum design flexibility. Add notes to the configuration as required.